Bottari SOS Brand, everything you need to travel safely. 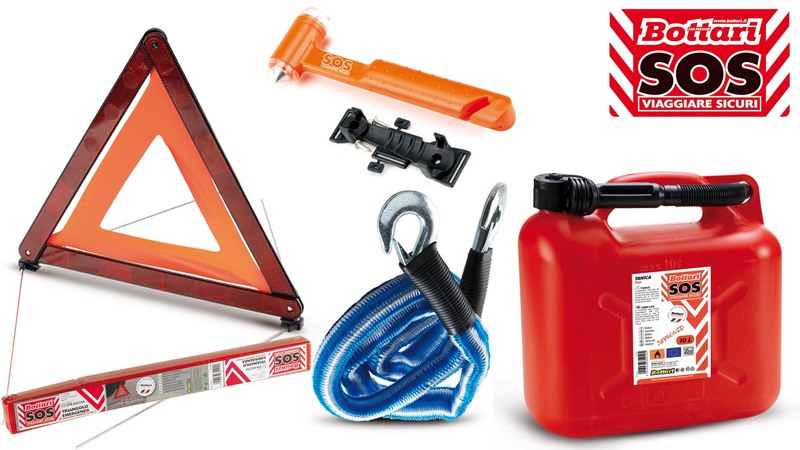 Bottari SOS Brand identifies a range of products designed to satisfy every motorist’s need in an emergency or unforeseen. The aim is to minimize the discomfort and allow the continuation of the trip. 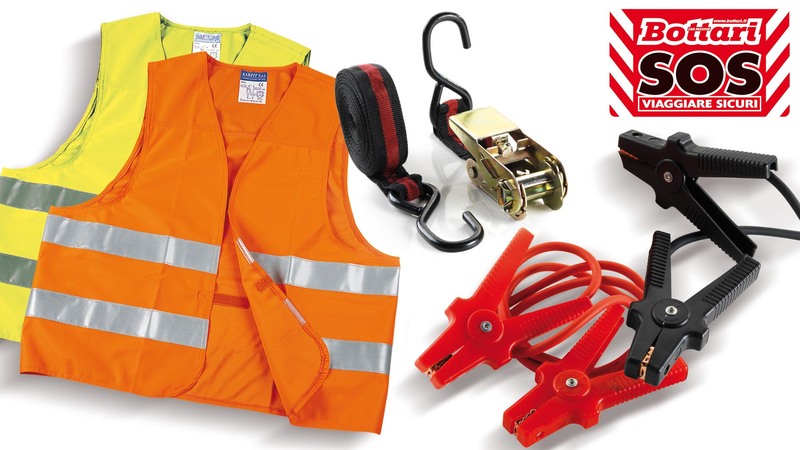 Are present products such as first aid kit, warning triangle, high visibility vest, fire extinguisher, tanks, battery cables, kits repairing holes, halogen lamps, and many other essential items.